If you require urgent GP assistance outside of normal surgery hours please call the usual number and you will be given instructions about how to contact the out-of-hours service. 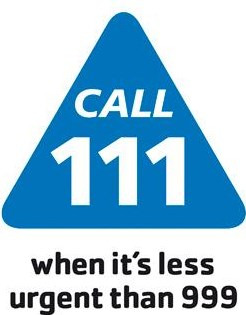 Alternatively, you can call 111, the NHS service for conditions less urgent than 999. In a genuine life-threatening emergency, you should call 999. Chest pains and/or shortness of breath constitute an emergency.